Curiosity rover was my inspiration. Dessap is 21 years old. He wakes up every day to fine-tune Dessbot, a terrestrial robot he built to detect landmines, collect gas leakage data and help climate prediction for better decision-making in case of disaster. He is one of the youngest engineers in our Cameroon Flying Labs‘ team. As many kids his age with a passion for electronics, he used to dismantle toys to understand how they worked but it wasn’t until he built from scratch his own electric car that his mother, impressed by his natural talent, started worrying about Dessap’s future. Robotics are for white privileged people, she thought, and encouraged him to pursue a career in medicine instead. A hard-core robot maker, Dessap never gave up his dream to become an engineer, making that his goal in life. 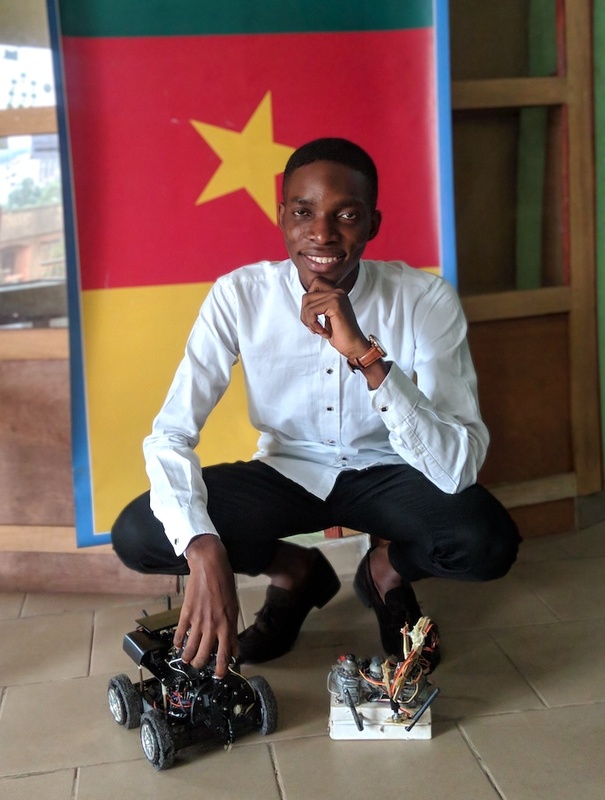 At 13, he built his first robot in-between classes and after school, straight through University where a teacher, inspired by his work, gave him an opportunity. Together, they started training other students to build robots for robotics competitions. The first global competition in 2017 in Washington DC was a pivotal moment for Dessap’s career: he discovered robotics could be used to solve local challenges in his community. That’s when Dessbot came about — an exploratory robot for data collection and for visualizing, analyzing and predicting air pollution and climate warming. Dessbot is equipped with a camera, a 5-degree robotic arm and sensors for temperature, humidity, air quality, UV light, atmospheric pressure and soil moisture. The control range is 1km LOS and all of the data collected is transmitted to the main station and visualized locally through a dashboard via internet. Dessbot can have multiple applications: in the army, for inspection and detection of explosive landmines and gas leakage; in agriculture, to help farmers collect data on their plants’ health conditions and soil composition; in robotics research and in schools for educational purposes, workshops and training. 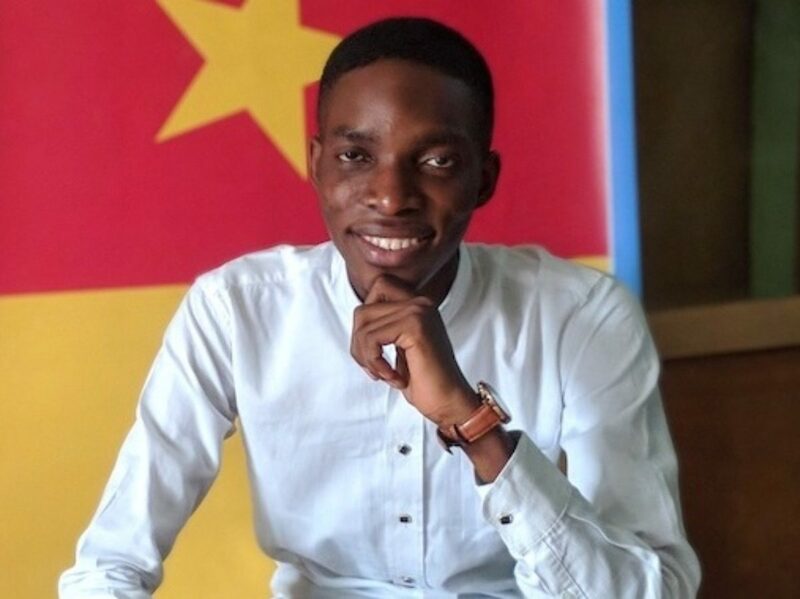 Today, Dessap is a TME (Transfer Multisort Elektronik) Education Ambassador in Cameroon engaged in promoting and democratizing electronics and technology-related knowledge across Cameroon, especially in regions where access to proper training is limited. After graduating from the National Advanced School of Posts, Telecommunications, Information and Communications Technologies, he obtained his Bachelor’s degree in Radio Communications and founded RobotSave, a start-up for the deployment of Dessbot. 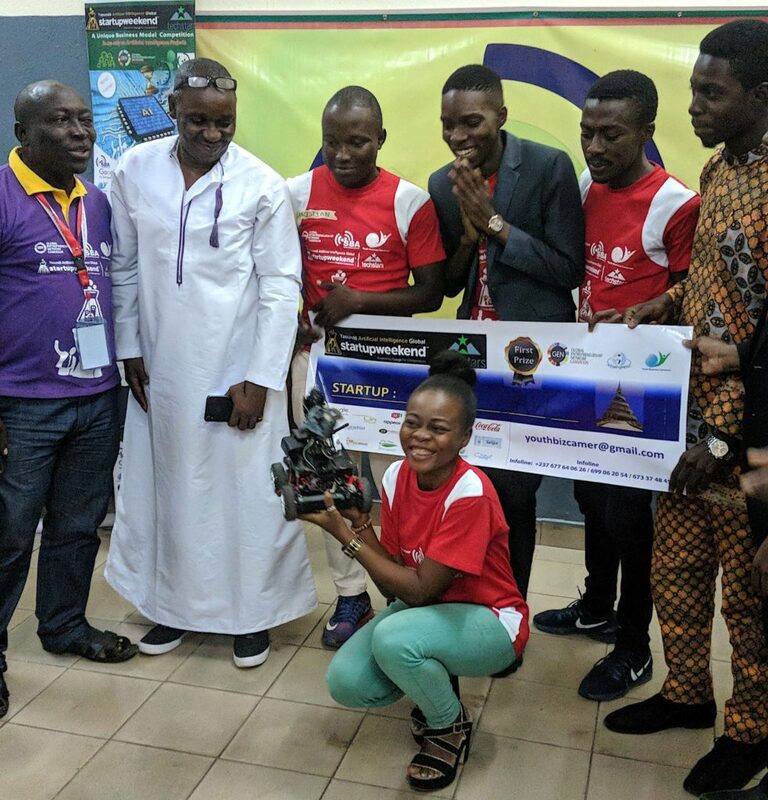 Last weekend, RobotSave won the Start-up Artificial Intelligence Challenge 2018 for its innovative implementation of AI for problem-solving. His dream, Dessap says, is to see the first exploratory robot in Africa help vulnerable communities solve local challenges. It was his goal in life, it’s now become his higher purpose.